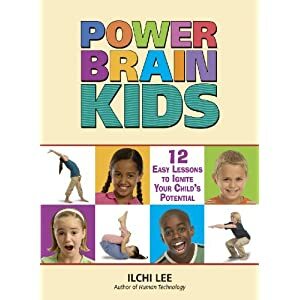 Power Brain Kids by Ilchi Lee is an educational book developed to teach children how to apply their brains toward "the creation of genuinely happy and successful lives" using Lee's innovative Brain Education method. The book contains 12 simple lessons which help to "develop better concentration, improve memory skills, gain tools for emotional self-control, activate creativity and imagination, establish connection between mind and body, and cultivate confidence and self-discipline." This book contains great activities to really help children learn to regulate their body and mind to be open to learning. I have worked with many problematic children over the years and am knowledgeable of the mind body connection. I have successfully used some similar methods described in this book to help these children to learn to calm down, both physically and mentally. However, this book contains many more activities that I wished I had had in my arsenal. I love the fact that this book is solely dedicated to children. In addition, it teaches children in a very simple way about how their body and mind works. I decided to use the book with my own children and they have enjoyed the activities immensely. They are fun and challenging. I can see that it is improving their ability to control themselves and it is strengthening their bodies. This is a great book and I think all parents should read it. I also think all teachers should read it and implement some of the activities into their classroom schedule. A few minutes of this a day could really have beneficial outcomes. Disclosure: I received a copy of this book for review purposes. This review contains my honest opinions.